Frame Work of the Table is made of Rectangular tube. Gynae Table is also known as Diagnosis Table. It is fitted with premium anti-microbial vinyl and foam to provide optimum support and comfort to patients and long term durability. It has 2 Section Cushioned top with perined cut us provided. Paper towel rail holder accommodates roll up to 56 cm width. 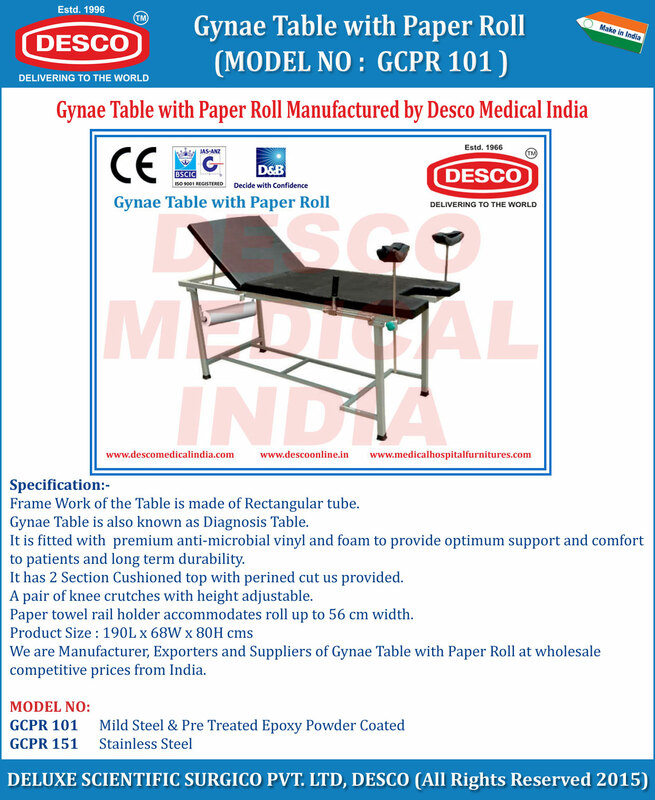 We are Manufacturer, Exporters and Suppliers of Gynae Table with Paper Roll at wholesale competitive prices from India.